LastPass is one of the most widely used password management programs in the world. It’s easily installed on a web browser, comes with state-of-the-art encryption algorithms, and offers two-factor authentication. Low-cost subscription options, for both individuals and organizations, meet the needs of any budget. 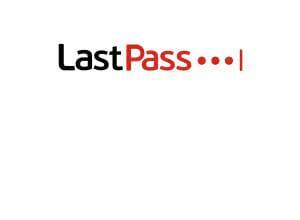 As with many other password management tools, the LastPass software is really easy to use. Once you’ve clicked the download button the LastPass browser extension will be added to your chosen browser where a small box will appear in the right-hand corner. This section will grant you access to your stored data and clicking on this will open up the LastPass interface. It is normal to have to create a single master password for services such as these and with LastPass, there is no exception. You’ll only be asked to use this password whenever you need to unlock your vault and access its features, so it’s vital that it’s a strong password and that you don’t share this with anyone else. The LastPass interface is clear and easy to use. One of the first things you will do once the product has downloaded is to store information. From now on when you create an account on any website, LastPass will prompt you to save the credentials (bank details, shipping addresses, passwords, etc) onto the system. The mobile version of this is available from the App Store or Google Play and works much the same as the desktop version; giving you the option to add, edit or delete passwords and notes as well as add new account credentials to your list. LastPass is an ultra-secure password management program that you can trust. We always mention trust because we feel that you should always use a recommended and trusted brand when dealing with personal or sensitive online data. What we liked about LastPass, was that it takes your data seriously and has taken every measure to ensure that passwords are 100% secure. The software uses the latest AES 256-bit encryption with PBKDF2 SHA-256 and salted hashes, which means that your data is scrambled and only you hold the key to unscramble it and made it readable. Your data is only stored at device level, it doesn’t reach the servers so if ever the LastPass system was hacked, there would be nothing of yours to steal. Your vault is for your data only, LastPass does not know what is inside your vault and it doesn’t hold any records of passwords either, not even your master password – so don’t forget it! Finally, LastPass uses a two-factor authentication login to add an extra layer of security to your data. You can use LastPass safe in the knowledge that none of your private vault information will be visible on their servers. When you enter your master password you will essentially be decrypting (or unscrambling) data that is normally encrypted (scrambled) using the latest encryption technology. LastPass does provide an account history feature which can be turned off, customer support can access this in the event of locked accounts or to investigate reports of unauthorized access. LastPass does, however, have access to the number of items stored in the vault and can see if sites such as Google have been accessed. The company says that this is to create a better user experience and provide you with logos from the websites etc for better navigation. LastPass does not have access to any sensitive data such as passwords, usernames and notes and more. LastPass uses high-security methods to keep your data safe and private such as firewalls and secure transfer protocols. LastPass is also GDPR compliant. LastPass offers a number of different features that are available to both paid subscribers and free users. Firstly, LastPass provides you with a browser extension where you can download any account credentials. You will have a personal vault which only you have access to via a personal master password that is unknown to LastPass. In this vault, you can store a number of different websites with all of your relevant credentials such as bank details, passwords, and addresses. There’s a built-in password generator which can create extra strong passwords for all of your online accounts, you won’t have to remember them either as they will be safely stored in the system. All you will need to remember is your master password. LastPass will autofill in any information relevant to your accounts, saving you time and energy. This software is available on any device which means that you can use it on the go, too – very handy when accessing sensitive data using public WiFi. Another feature is the digital notes section, which allows you to organize your accounts and add notes safely. You can even create online shopping profiles to make shopping simple with the touch of a button. LastPass allows you to safely share passwords to keep all of your shared bill information online – this is available on the paid family subscription. Finally, LastPass has a great feature which audits your passwords to spot any potential ‘weak’, duplicated or old passwords which may exist in your vault. Perfect for when you need to update them with fresh new, ultra-secure passwords. LastPass offers a range of subscriptions suitable for individuals, families, and businesses of varying sizes. The Teams password manager is priced at $48 per year/per user and provides a number of features for up to 50 team members. Created for businesses of all sizes, the Enterprise package includes all the free features, plus Teams features and is priced at $72 per year/per user. Where LastPass rises above many other password management services, it really seems to fail when it comes to customer support. If you have a query or need a problem resolved then you won’t find a contact number on the website. There is an online chat facility, but it’s not easy to find as it pops up in the Enterprise business sections. There is an email form which you can use to log problems. It’s a 24/7 email service but it isn’t live so the response times can vary. Also, finding the contact email address is tasking as it’s fairly hidden in the About Us – Company – Contact Us section, which takes a bit of digging to find. If you scroll to the bottom of the home page you will find a Customer Support section, it will take a bit of navigating but in these sections, you may find the answer that you are looking for in the FAQs. There’s also a User Manual to help you get started. Paid subscribers will get extra support and a dedicated account manager is available for Enterprise customers.